Catch up with the latest media from 2015. You can scroll down the page to find the 'Launch Player' for selected shows. Some shows will be on the BBCiPlayer and for LBC debt phone-in shows see the 'How to listen' section. We also have some selected media from other years: 2008, 2009, 2010, 2011, 2012, 2013, 2014, 2015, 2016. Below is the free podcast from Mike's appearance on LBC's Money Hour on 21 December 2015 with Clive Bull. It's free to listen to. Below is the free podcast from Mike's appearance on LBC's Money Hour on 26 November 2015 with Clive Bull. It's free to listen to. Mike's most recent appearance on LBC's Money Hour on 19th October 2015 with Olly Mann sitting in for Clive Bull is now available here for you to listen to. On this show, Mike talks to Olly about the latest news affecting consumers with debt issues, in particular the changes to the qualifying criteria when applying for a Debt Relief Order (DRO) and takes calls, texts and emails from listeners around the country. Below is a timeline of the audio to make it easier to access certain parts of the show. News bulletins have been removed. Mike's most recent appearance on LBC's Money Hour on 14th September with Clive Bull is now available here for you to listen to. On this show, Mike talks to Clive about the latest news affecting consumers with debt issues, reveals that a date has been set for consumers to go bankrupt online instead of having to go to court and takes calls, texts and emails from listeners around the country. Below is a timeline of the audio to make it easier to access certain parts of the show. Just click below to start listening. Mike's most recent appearance on LBC's Money Hour on August 3rd with Clive Bull is now available here for you to listen to. On this show, Mike talks to Clive about the latest news affecting consumers with debt issues, reveals a new proposal to give borrowers 28 days breathing space before debt enforcement and takes calls, texts and emails from listeners around the country. Mike's most recent appearance on LBC's Money Hour on June 15th with Clive Bull is now available here for you to listen to. On this show, Mike talks to Clive about the latest news affecting consumers with debt issues and takes calls, texts and emails from listeners around the country. This topic was about giving children pocket money or should they have a job instead and would dealing with money at an early age help them to manage their finances in the future. Mike reveals some useful tips on teaching children about the value of money and what he did to educate his own children. Mike was then asked what age was his youngest client and what were the circumstances, his response stunned the presenters. Mike was in the studio of Leading Britain’s Conversation (LBC) between 9-10 pm talking to Clive about the latest news affecting consumers with debt issues and took calls, texts and emails from listeners around the country. See the time line below for any topic that interests you. 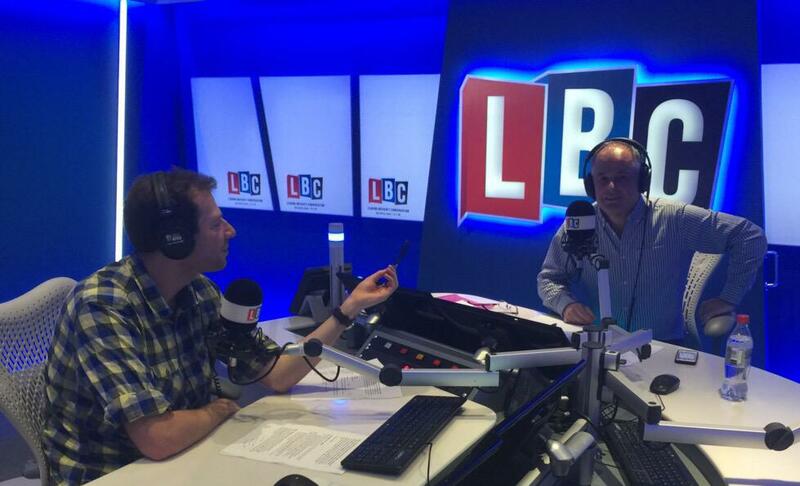 Mike was in the studio of Leading Britain’s Conversation (LBC) between 9-10 pm talking to Clive about the latest news affecting consumers with debt issues and took calls, texts and emails from listeners around the country. Mike says 'this was a cracking show'.